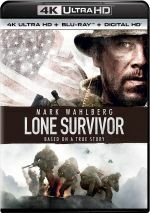 Lone Survivor appears in an aspect ratio of approximately 2.40:1 on this 4K UHD Disc. This became an excellent presentation. Except for some archival footage seen on occasion, sharpness seemed solid. The movie offered very good delineation, without a soft spot to be found. Like most films of this sort, Survivor opted for a fairly orange and teal feel, though it leaned more toward the green side of the street. The hues came across as intended and seemed positive, as the 4K UHD’s HDR capabilities brought out the tones in a dynamic manner. Downconverted to DTS-HD MA 7.1, the film’s DTS-X soundtrack added strong involvement to the experience. With the level of bombast expected from a movie with many scenes of combat, the soundfield used the various speakers well. How did the 4K UHD compare to the Blu-ray version? The DTS-X track offered a bit more breadth and oomph, while visuals got a nice upgrade. Sharpness looked tighter and better defined, while blacks seemed deeper and firmer. The 4K UHD’s HDR colors appeared more vivid and richer. As good as the Blu-ray looked, the 4K UHD was even more impressive. No extras appear on the 4K UHD itself, but the included Blu-ray copy provides a mix of components. Will of the Warrior goes for 28 minutes, five seconds and offers notes from former Navy SEAL/author Marcus Luttrell, mother Holly Luttrell, childhood mentor Billy Shelton, writer/director Peter Berg, Matt Axelson’s parents Corky and Donna Axelson, Danny Dietz’s parents Dan Dietz and Cindy Dietz-Marsh, Mike Murphy’s parents Daniel and Maureen Murphy, former SEALs Mark Semos, John Hoffman, Brian Call, and Chris Caracci, and actors Ben Foster, Emile Hirsch, Taylor Kitsch, and Mark Wahlberg. The Blu-ray opens with ads for Non-Stop, 47 Ronin, Ride Along, Endless Love, Sabotage, Scorpion King 4 and Jarhead 2. Previews adds promos for Contraband, Safe House, End of Watch, The Place Beyond the Pines, The Debt, Tinker, Tailor, Soldier, Spy, Schindler’s List and The American. No trailer for Survivor appears here. As a war movie, Lone Survivor brings us a firm “B+” effort. 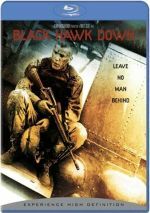 While it doesn’t offer anything novel or especially creative, it boasts the brutal battle experience it needs to succeed. The 4K UHD offers terrific picture and audio along with a disappointing collection of supplements. Survivor breaks no new ground but it still achieves most of its goals, and this 4K UHD becomes the ideal way to watch it.